MMM is not a company seeking affiliate marketers, neither is it a networking business, rather MMM is a platform that allow it's participant to gain financial freedom by helping them get real money from other participant without you paying back. Sound to good to be true? Then continue reading to learn how it works. First of all what you should know is that, as of now, MMM have over 1 million participants in Nigeria. So let us get on with how it works. When you successfully register with MMM, you will be given two options. The first option is Provide Help and the second is Get Help. Remember, we said that MMM gives you financial freedom by helping you get real cash from other participant without you paying back, and the Get Help option is what will enable you to get such cash. But you cannot qualify to get help unless you have help a participant of the network. When you help someone, you will receive what is referred to as a Mavro. This Mavro is the equivalent of the cash you used to help the member, and then the Mavro keeps growing by 1% everyday. For example, let us suppose you Provide Help with 100,000 naira, you will then receive a Mavro of 100,000 and the Mavro will keep increasing everyday by 1% that is 30% for a month which will be a total of 130,000 Mavro in a month. So now that you have waited for a month to pass and your Mavro is now 130,000, all you need do now is to use the Get Help option in your MMM dashboard and your Mavro will be converted to 130,000 naira which is the equivalent, and another member which have indicated a interest to provide help so that he can get Mavro will be asked to pay you by transferring the money to your bank account. But you might wonder, what about if there is no participant to that is willing to provided help? If fact that is the quest I asked when I was told about it by a friend who is already hitting it big with MMM. I am not going to give you his reply, but I am going to tell you by my own experience. 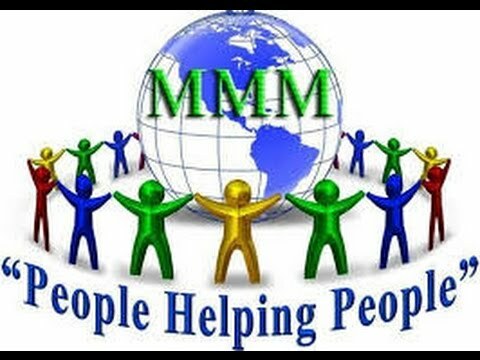 MMM policy has it that, you cannot be it's participate for a period of 10 - 15 days without you providing help, especially when you have withdrawn your Mavro (i.e gotten help from other member), so, there are always going to an MMM participant that are in the network that much provide help to you when you need it by them converting your accumulated Mavro to real cash. So the MMM system is like, you help someone today with cash, and tomorrow someone else help you with that came cash plus any interest you have allowed accumulated. If you will like to learn more click >>> here. Though I am writing this article to aim Nigerians, MMM is a not a Nigerian based network. Click here to see if there are in your country.